Q How many urls can I promote at the same time? 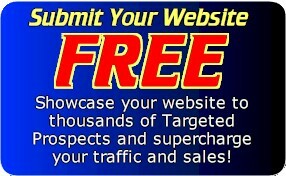 A As a free advertiser you can promote 1 website absolutely free and you can edit it anytime you wish. As a lifetime advertiser you can promote up to 25 urls. Q Are there other kinds of memberships? A Yes you can join as a silver, gold or platinum advertiser by upgrading in your members area. Q What is the difference between a silver and a gold membership? A Silver members can promote up to 5 urls and email their downlines once every 7 days for a crazy low $10.00 a month. 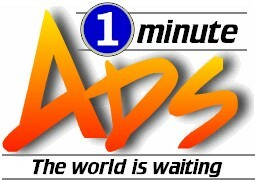 They also get double ad rotations which means a silver members ads appear twice as often as free members ads. Gold members can promote up to 10 urls and email their downlines once every 5 days for a crazy low $19.95 a month. They also get 5x ad rotations which means gold members ads appear 5 times more often than free members ads. Plus Gold Members get a free targeted text ad. Q Can I add more urls later if I want to? A Yes. You can add as many additional urls as you need inside the members area foronly $10.00 a month. A No one can guarantee results as this depends on factors beyond our control such as, website sales copy, navigation, loading speed, market demand for the product or service you are offering, and other factors. If you join as a silver, gold or platinum advertising, you are paying for targeted advertising, and as such, all sales are final and no refunds will be offered. We guarantee to display your websites in front of thousands of people with similar interests, nothing more. Q Where do the targeted text ads appear? A These ads rotate on thousands of reseller pages, on the right hand side of the view page when members submit their free urls, and in the members area. This gives your ads mass targeted exposure 24/7, 365 days a year. More answers will be added here as questions come in.